Playlists are up! It’s a smaller, more concise list this month, but tons of great new bands to get on board with. Choose your streaming platform (Soundcloud, Rdio and Spotify) and get listening. Artists to watch: Yukon Blonde, Leon Bridges, Tame Impala, Austin Basham. 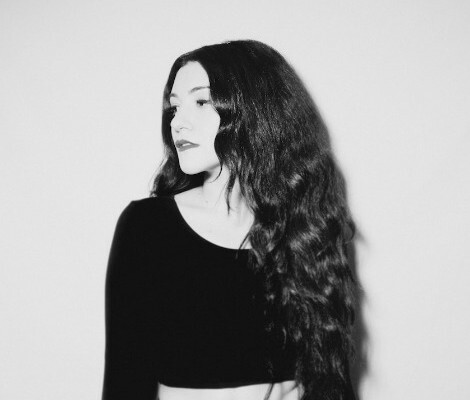 Have you heard the latest from NYC’s Alex Winston? “101 Vultures” hit the blogs a little while back, but today I’m falling for the NICITA remix (NICITA is the electronic project of Zach Nicita, drummer of MS MR). Both versions feature Winston’s unique ghostly vocals and lush melodies, but the remix just moves me more and today; I guess thats what I’m looking for. Alex will continue to play live and tour sporadically through the end of 2013 as she puts the finishing touches on her new album, which will be released in Spring 2014. Oh how I slap my thigh from a nice satisfactory sigh! LCD Soundsystem broke my heart two years ago. Like a scorned lover stalking an ex’s Facebook Profile, I regularly revisit their music, screech when shuffle lands on them and hug them tightly and think of the good ‘ol days. This year has without a doubt, been James Murphy’s stage-block. Now hold that thought and point yourself toward the electro-pop pair MS MR. They’ve covered ‘Dance Yrself Clean’ and it’s delightful. Granted, covers are meant to show the artistic flair of the artist, in keeping with the intent from the cover-ee. MS MR pull focus to Lizzy Plapinger’s vocals letting it seep into your ears and simmers there for a while. Courtesy of Live Nation, I’ve got one pair of tickets to give away for the show. There are two ways to enter. Either email me at chris AT indiemusicfilter.com with “MS MR MO” (haha) in the subject line with your full name in the body. Or, RT my tweet about the contest. Each way enters your name into the draw. Deadline is SUNDAY, SEPT 15TH at NOON (EST). I’ll notify the winners that day.